While James Bond is a character who you’d associate with saving the earth, you don’t get the sense that Bond has an eye towards eco-conservation, given the trail of explosive destruction that seems to lie in his wake. 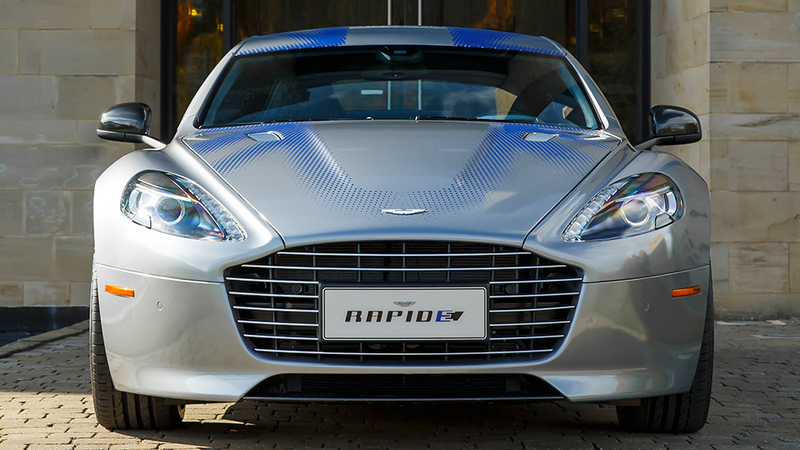 Yet in the next installment of the James Bond franchise, Daniel Craig, as Bond, will be driving an all-electric Aston Martin Rapide E.
The Rapide E is a $350,000, four-door super saloon that will feature a giant lithium ion pack and twin electric motors in lieu of a V12. The output from that 800-volt, 56 kWh setup will be just over 447kW and 950Nm torque, which should be enough to let the Rapide E live up to its name with an estimated sub-four second zero-to-100 sprint. While Aston is working directly with the production department, interestingly, the marque originally never wanted to have its wares appear in the James Bond films. Bond drove a Sunbeam Alpine in Dr. No, and in most of Ian Fleming’s books, the world’s most famous spy piloted pre-war Bentleys. But for Goldfinger, the book did call for a DB5, and when the production company came knocking on Aston’s door, the company was nonplussed. After serious cajoling, a DB5 was loaned to the production department, and the car maker soon saw the huge upside in participating in the Bond franchise. Assuredly, the Rapide E will be up-fitted with all the hidden toys and weapons that you’d expect a Bond star car to have, and it’ll be neat to see how the writers will incorporate the EV into the script. If you think about it, perhaps an EV is the perfect car for a spy, because no one will ever hear you coming.